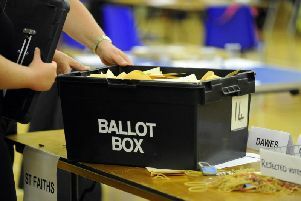 The party has put forward 25 candidates to fight for seats on the council, which represents residents in Crowborough, Hailsham, Heathfield, Uckfield, Herstmonceux Polegate, Pevensey Bay and more. A spokesperson from the party said, “All of us are positive, practical thinkers who want to make Wealden a better place for everyone to live and work. “We’re focusing on what matters most to local residents: many people are struggling because of the cost and lack of housing. We would push to peg social rents to local incomes, not house prices, and make sure developers can’t get away with building housing only for a wealthy few. “Traffic speed worries many residents, so we’re pushing for 20 mph limits in villages and towns to keep us safe and reduce pollution. “We need to improve Wealden’s waste management. We would work to reopen the recycling centres the council just closed and help local people and businesses to reduce and recycle better. This would all be part of our goal to take action to make Wealden carbon zero.